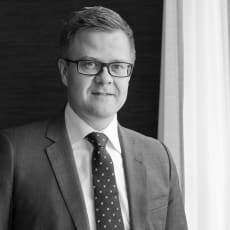 Lauri Lehmusoja is a counsel in the tax group of Hannes Snellman. In particular, he advises clients in matters related to international taxation and incentive schemes. He is a frequent lecturer in various conferences and seminars, and is currently also an officer in the International Bar Association’s taxes committee. Prior to joining Hannes Snellman in 2011, Mr Lehmusoja worked for a Big Four tax consultancy firm, and he also gained experience at the Finnish tax administration.